Hello, everyone! Kaitsu here again to talk about the brand-new character routes in Princess Evangile W Happiness. If you haven’t read the first post, you can read it here to learn about some of the game mechanics and epilogue routes. With that said, let’s get this show on the road! As I mentioned previously, you’ll be prompted to read either the common route from the original or proceed straight to the character select menu when opening the game. For this particular post, we’re going to focus on the new routes for Ruriko, Konomi, Mitsuki, Tamie, and Marika. 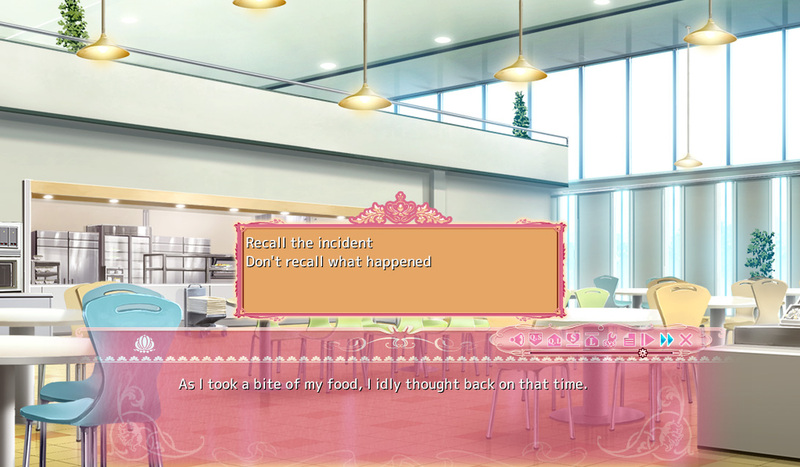 One brand-new feature is the ability to “recall” past events that occurred in the original game. So, for example, if you remember that “little” incident that occurred in the common route with a certain character and a bell tower, you can recall on that entire extended scene with a simple click of a button, or you can ignore it and continue reading. This helps flesh out some of the details in the brand-new character routes that may have seemed nothing more than a minor detail in the original game. This really does add quite a bit of substance! Speaking of new additions, there is a particular visual feature which only appears in Marika’s route. I’ll leave it to you to find out and be surprised, but it’s definitely worth checking out. 😉 As I mentioned previously, the original game offered nine additional chapters beyond the heroine branching point. 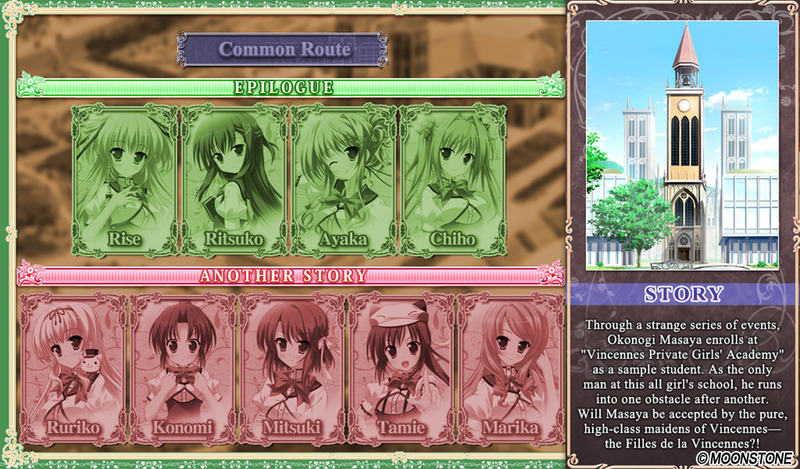 Compared to the four original heroines, the five brand-new character routes have four chapters each! That’s all for now. Look forward to our next blog post for Princess Evangile W Happiness! 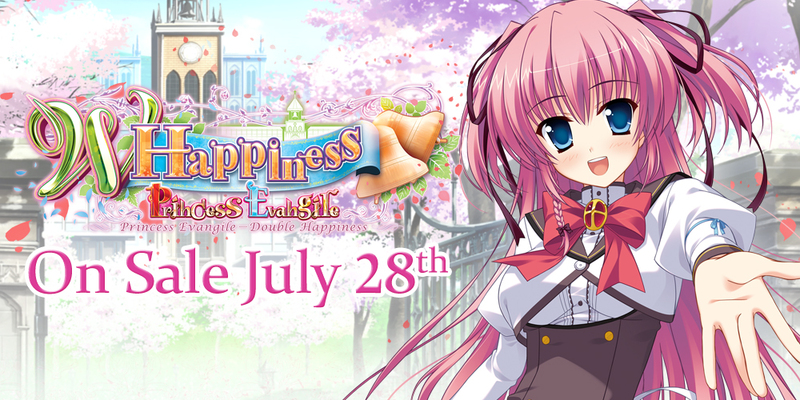 Princess Evangile W Happiness will be available on Steam and MangaGamer.com on July 28th. Pre-order now to get 10% off! Tagged fandisk, moonstone, Princess Evangile, W Happiness.